"I Am a Part of Chaos"
Muratova does not like interviews. Actually, she would like to disappear behind her films1, she once stated. The first and second time I called Muratova she was kind. She thanked me for the attention, but she was hesitant when it came to setting up a specific date for an interview. She could not tell me a fixed date, because "nothing in life was certain," she said. A third phone call made her explode. She didn't want to give an interview; she had already said everything. And also, why hadn't I simply come to Odessa, then she would have spontaneously told me if she could meet me or not, she shouted into the receiver. So the only thing left for me to do was to follow her furious advice and embark for the unknown. I flew to Ukraine, called Muratova from the hotel and told her that I was in Odessa now. One hour later, I was sitting in a cozy apartment, the walls covered with pictures from the floors to the high ceilings and was having tea with Kira Muratova and Evgeny Golubenko, her husband and permanent production designer. There, not only did I become witness to Muratova's and Golubenko's love of pictures, but also to their love of animals. Muratova told me that in Evgeny's studio in the building's attic lived two birds, a rook and a crow. "They are both invalids, they can't fly any more. Someone cut off the crow's wing. We had to take it with us from the courtyard, because the cats almost ate it. The rook, on the other hand, was injured on our film shoot, because an idiot, an animal trainer who wasn't one, had wrapped wire around the rooks. At the end of the shooting day he let the birds fly, only one stayed back and we realized that its wing was broken. And all around us snow and dogs. We were shocked and I became terribly angry with this impostor. Evgeny takes food up to the birds every day. The crow's wing, we were told, is supposed to grow anew. So far it hasn't grown." Muratova who sat with her back to the window remarked that she was sitting "contre-jour", backlit, she explained, and asked if I minded. I didn't mind, I only had a sound recording device with me anyway. But she changed her seat nevertheless and was lit properly during our three hour-long conversation. Isa Willinger: Originally, I wanted to meet you at the International Film Festival Rotterdam in January, where a retrospective of your oeuvre was shown. Kira Muratova: You know, the profession of a film director is extremely social. I am constantly speaking to and dealing with people. And I increase that even, because I am always looking at a large amount of actors and amateurs. The whole time I am talking. But in my private life, I am not a very social person. I am rather like a hermit. I don't like to talk, to promote myself. It's difficult for me. It always seems to me as if I am pretending to be someone else. And that's the reason why I don't like to travel to festivals anymore either. IW: And you, Evgeny, do you also not like talking to the audience? KM: Exactly. If there is some kind of freak in the audience making a comment - that's interesting. It is even interesting when he swears at the film. If he swears in his own personal manner, that's interesting. But this happens rarely. EG: In the film clubs in the Soviet Union there were many freaks. KM: In the Soviet Union, there weren't many options to spend your free time. There were the official cinemas and there were the film clubs. In those, cineastes would get together to speak about film and to watch forbidden films. All kind of freakish people would gather there. 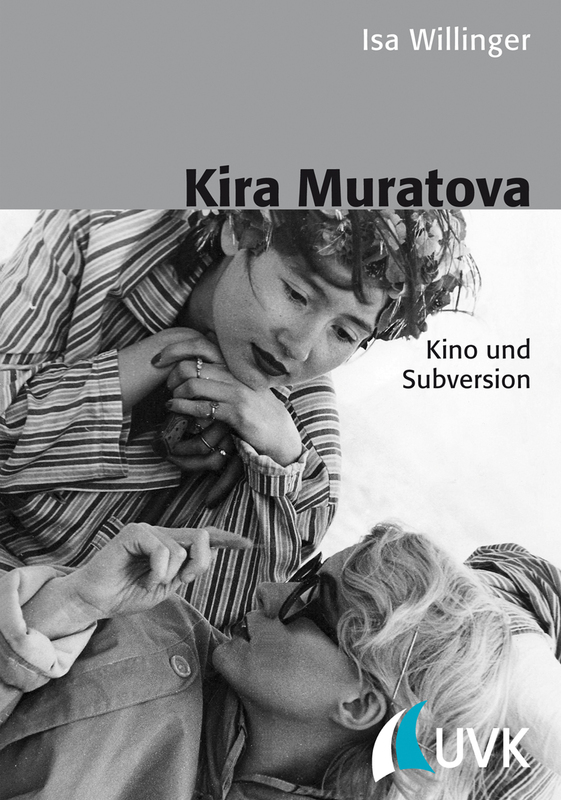 IW: Kira Georgievna, in spite of being banned from working in the Soviet Union a number of times, you consistently have stressed that you were a Soviet film director, having shot very Soviet films. KM: All my films were criticized. They found them to be pessimistic, gloomy. Allegedly, they distorted Soviet reality. My films did not do that, quite the opposite! I then thought and I still believe that those films are bright films that depict reality in a very realistic and even optimistic way. Short Encounters and Long Farewell and Getting To Know The Big Wide World. I never understood what those critics wanted from me. In the Soviet Union, you were supposed to show how beautiful life was there, that it was better than anywhere else in the world. You weren't allowed to show a hospital, a cemetery and you weren't allowed to show death. IW: But you did show this. KM: I showed this and I didn't understand, why it is bad. It is a part of life. I always looked at things universally. But you weren't supposed to, you had to skirt around certain topics. I never understood why and I don't understand until now. They called my films "bourgeois". I have no clue, why. All my life I have been asking myself, why they went after me and I have not found an answer. For me this is a kind of schizophrenia. EG: You will never understand it. EG: There is realism and there is Socialist Realism. They are completely different things. I understand because I was born here. Kira wasn't. EG: …Socialist Realism I mean. KM: They certainly taught us all of that. EG: Socialist Realism depicts man, as he is supposed to be. The laws of life do not apply here. When Kira started to deal with psychiatric topics, in a microscopic way, they did not understand what this was supposed to be good for. For a Socialist Realist film character, society is more important than his or her own child. When the main character in Long Farewell is engaged with her child and not with society, then she becomes an enemy. KM: Perhaps not an enemy, but she is none of "our people". She is a stranger with a petit bourgeois personality. IW: And nevertheless, you would say that you shot Soviet films? KM: I insist that these films are as well Soviet films. Because they are honest and because I find them to be positive. I don't understand the censors' thinking, I can only repeat what they said without understanding it myself. In our film studio, we had a director by the name of Sbandut. After my film was already banned, he told visitors from abroad: "Come with me, I will show you an Italian film that was shot here in our studio!" And he showed them Long Farewell. For some reason he called it "Italian film-making", oh well. He probably wanted to show his guests a little surprise, a kind of forbidden fruit, something illegal and at the same time sweet, a kind of dessert. EG: At one point, they conceived that man needs a kind of ideal image. Like when you buy children clothing that is one size too big, anticipating they will grow into it anyway. Man was supposed to strive after the ideal and art was expected to be authentic only to a very small degree, so that people would still go see it. Recently, we watched an old Soviet film on television. There were all these little sleeky bosses and one big good one. KM: …arriving at the end and making everything go well. This is a very old form: the good tsar and the scheming courtiers. EG: The exact opposite of what is called "bourgeois democracy". There, the value of the individual is above the collective. If they only detected the slightest scent of something like it, they interfered: a woman wants to marry - that's bad. She is supposed to tar the road, she is supposed to drive the tractor. IW: When someone grew up with bourgeois ideology, like I did, according to which a woman is supposed to marry, then, the image of the female tractor driver can even represent an alternative. IW: What is your relationship to feminism? KM: Women are slaves. No matter in what type of society, they are slaves. Often, I am asked, if I believe that there is a difference in films by female and male directors. At the end of the 1980s, I attended the women's film festival in Créteil. Before that I always thought it was stupid to think that women would make other movies than men. In Créteil, I saw films that were very harsh and not ladylike at all. Because women are slaves they make vengeful films. They call a spade a spade. Things can be called all kids of different names. Loving names, crude names…the women, whose films I watched there preferred the harsh ones. I saw many interesting things there. IW: What were your first experiences at the movies when you grew up in Bessarabia and Bucharest? KG: My mother worked at the ministry of culture in Bucharest and was dealing with film, even though in Romania they were hardly shooting anything after the war. But they bought foreign films for domestic distribution. My mother gave me her permit and this way I could see as many films as I wanted. And I saw a great amount, as you can imagine, French films, American ones… But there was something before that. When I was five, I lived with my grandparents in Bessarabia and my parents were kind of these underground communists in Bucharest. I visited them, and my mother had to go to all kinds of underground meetings and she had no one to watch me. Back then in Romania, in the cinema one film would be screened all day long without separate showings. People came and went, whenever they wanted. Sometimes my mother took me to the movies and I would be sitting there for a couple of hours, while she was doing her things. She took me to Charlie Chaplin films. I saw Goldrush and Modern Times, I saw them all. And these films have stayed my favorite films all my life. IW: You often stated that in film making you especially love editing. KM: No, I do not love it, I deify it! This is the thing that I love the most in the whole world. IW: During the editing process, are you in the editing suit every day? KM: These days, I am pretty tired after shooting. But I used to go to the editing room every evening after shooting. For a long time I was working with a fantastic editor, Valentina Oleynik. We grasped editing together, we fell in love with editing together, while we were working on Short Encounters and Long Farewell. We penetrated montage, we understood it and discovered all kinds of fantastic, unbelievable, wonderful possibilities in it. And that became our passion. Valentina Oleynik is very smart and sensitive, she understands without words. Verbal things are not so much her... There are people who say about a ballet dancer she is dumb. But she is not dumb, she only has a different kind of mind. There is a mind of words, a mind of dance and a mind of montage. When you give a book you loved to Valentina, she won't read it, stating: "That's boring, I won't read that, I don't understand it." But when it comes to montage, she is a genius, do you understand? She has a montage-mind. IW: The montage of your early film Our Daily Bread was still very classical. KM: Oh, this is not my film at all. I start to count my films from Short Encounters. Sure, it is my film, but it is not quite my film, because I had not grasped editing yet. I did have montage classes at VGIK, but I hadn't understood anything. IW: What exactly woke you up? KM: Montage itself, of course! Simply the process of editing! When you ask a chess player: "Why do you love chess, what woke you up? ", he will say: "Chess woke me up!" Nothing but editing itself woke me up. We started to cut these little frames with a little razor knife, to cover them with acetone, to glue them. And then, all of this all over again. No, let's do this differently, now we take from here and put it there. No, not this way. If we take one from there and put one here - oh, that's colossal! Sometimes we would destroy the footage to the point of having to order a new copy. "Make us a new print, because we completely destroyed our work." What is montage in the end? It is dramaturgy, but not the dramaturgy of words, but the dramaturgy of the film footage. You watch the footage numberless times and suddenly you notice something that you have never noticed before. A rhythm or a special trait, a sound or a movement, an incidence of light in this or that shot and suddenly the shot is calling for a totally different shot. I have to watch my footage a thousand times, because one cannot know this in advance. It is a process and it compares to nothing. IW: What kind of effect do you aim for with your films? KM: That they are beautiful and full of expression. But what does that mean, what kind of effect? What kind of effect is art always aiming at? That something is good, beautiful, expressive, poignant. That you like it in the first place yourself and then, hopefully, the other people like it, too. IW: Is film for you a kind of communication with the spectators? KM: No way. I cannot think about something like this, and I don't believe that anybody thinks about something like it. Ok, when I have made something then I try to imagine I see it for the first time and maybe then I am trying to imagine a spectator. IW: But is film not a kind of mirror, even if a distorting mirror? IW: But is there a relationship between art and life? KM: Yes, of course. How can there not be a relationship? Art is a part of life. Art means playing life. Life is a game. When kids play, they say: you are Mum and I am Dad. They scream at each other: sit down, eat your meal like you're supposed to. They are playing life. And art is playing life, too. Actors act, pianists play, we are all playing. We all play life. IW: Do you love costumes? KM: Of course, you could actually say that I am making them myself. This goes back to my aquaintance with Rustam Chamdamov. I understood everything about costumes through him. When we wanted to shoot Princess Mary, he should have become the costume designer. We never shot this film, but from this moment on, I ascribed to costumes an extraordinary importance. You can see costumes in only a passive, optical way, or you can see them in an active way. What he [Chamdamov] told me back then is a kind of aphorism for me, even though other people don't see anything special in it. He said: "When you put a necklace on an actress, let the string between the pearls be seen. Let there be gaps between the pearls, so that the construction of things becomes visible. So that it becomes visible that the pearls are lined up on a string." For me this was a revelation: In everything there is another hidden layer. We see the round pearls and then we see the string and we understand that this string goes through all the pearls. We understand the construction. And you start to think. Everything is constructed, not only the costumes, but everything. Everything has many layers. Behind truth, there's another truth, and then there is one more and one more. Layer by layer. IW: What kind of role do emotions play in your films? Do you want to move the audience emotionally? KM: I do, I do, I do. But what does that mean? Are you hinting at Brecht, who wrote onto the curtain, how the play would continue? IW: Well, Brecht thought estrangement was the right way to go. KM: I never think in such categories. But I really liked Brecht's play. He came to Moscow, when I was still a student at VGIK and I watched his play. He wrote the content of the following act onto the curtain. That was beautiful, so modern. What beautiful ideas! Then the next act started and I completely forgot what had been written on the curtain and I was so empathetic. He, however, thought that I would watch from a distance and without emotion. But I didn't watch emotionlessly. There was a dumb woman, she is sitting on a roof, she is screaming, because she cannot talk and I was so empathetic with her. I was empathetic, even though Brecht was hoping that I would watch unmoved. Those are beautiful ideas. This is art, too. His theories are like a frame to the art. Estrangement. Not-estrangement. All this is meaningless. I want this and that and something else too. I want people to look at this little brooch, this little bracelet, emotionless or ardently, to just look at it for a long time and not turn away from it. That means I want emotion, and estrangement, and everything else. IW: The visual language of your last films has changed quite a bit. You started using long fluid shots and formalistic montage sequences have moved to the background. KM: In the past couple of years, I have been working with the DOP Volodya Pankov. He has developed a kind of mania, truly a mania, to shoot everything with a crane. We also shot The Asthenic Syndrome together. Back then, he didn't work this way. Perhaps his arms have started to hurt, at least he doesn't touch the camera anymore himself. With this crane one can shoot long sequences, since the position of the camera is constantly changing. It's absolutely out of the question to shoot in a different way with this DOP, as he at once becomes melancholic when I say: "Let's shoot this scene with short shots." I don't like to fight with people. I want the people I work with to like working. When my DOP says: "Ok, sure," then this is such a slavish consent, you know? IW: Evgeny, do you as a production designer work with other directors as well? EG: No, I don't. There are people to whom the crucial thing about directing is power, not the thought process and not the result. They want to live out their power complex. To work with people like that is a nightmare. Kira is very flexible. In The Asthenic Syndrome there is a scene, when a cat is tortured, a tin can being tied to its tail. In the script, it said that the scene was to take place in a backyard, but I thought that it would be difficult to find a backyard from which the cat could not escape. And if the cat would run away with the tin can tied to it - that would be a catastrophe! I found a big hole in the ground and suggested to shoot there. And just like this, we constantly change things very fast. IW: Such shots like the one of the men in the Internet-café in Melody for a Street Organ - are they in the script or do you come up with them spontaneously on the film set? KM: Possibly they are in the final script. We saw those men at the train station. You visit the train station in order to look at the shooting location and you see a good image: there are these men sitting in front of computer screens. And you think, this is great, we'll include that. EG: We saw that and recreated it. KM: In Kiev at the train station, they also had this waiting room, when we were there for the first time. Later, they didn't have it anymore, but we recreated it for the film. It was a bizarre waiting room, a waiting room where you had to pay a fee. You don't just sit there, but you pay and sit there. IW: How did you come up with the shots of the colorful socks that the people in the waiting room are wearing? KM: When our extras took off their shoes, we realized that for some reason all of them were wearing dark socks. And those could hardly be seen when up in the air. So our costume designer bought them all socks in light colors on the market next to the train station. First, he bought them all the same socks, then we told him. "Buy them different socks." In the end, someone put on his own socks, someone got new ones. It's a process. IW: And this happens during the shooting, right? EG: We simply had forgotten to tell the extras to put on light socks. KM: We all are living human beings, not only the director, but also the actors and everyone else taking part. And all of them produce ideas. Everyone can come up with something funny or interesting. IW: And you welcome that, when everyone is taking part? KM: Certainly. I am very happy about it. It's great, because it is a lively, joyful, creative process. Of course, many say something that seems silly or unnecessary. But nevertheless, one has to try to listen to all of them, and sometimes something interesting is shining through. Who said: "The film is finished, I only need to shoot it now"? KM: René Clair. I am no such director at all. He wrote the script and the film was finished, he only had to shoot it. No, it is not finished at all. It needs to branch out the whole time, you need to add to it, to think anew. The script is only a rough sketch, a scrap paper that stuff is constantly written on, crossed out, underlined, switched around. But who knows, maybe Clair only said this sentence because of its beauty. It sounds nice, but it is completely foreign to me, you know, because the film is not finished at all, simply not finished, never finished. It is a laborious and endless process, an eternal ramification. IW: How do you find the many amateur actors for your films? KM: I do a very, very long casting. An endless casting. Even, when everything is set and someone knocks on my door and says "I would like the lead role in your next film," I for sure talk to this person. And, if I like somebody, then they get the role, lead role or not. I welcome coincidence. I don't decide something has to be this way or that. I just find things that are around and I fit them together. And suddenly, something different comes up, something contrary or new. This is coincident, coincidence. You must not shy away from coincidence. Don't shy away from coincidence, as long as your strength suffices, go towards it. IW: Is there a limit to it? KM: There probably is a limit. Death is the limit. Death is the coincidence that tears everything apart. There are all sorts of coincidents, bad ones, good ones, silly ones, but you have to welcome them, as long as your strength suffices. You mustn't say: "Enough. This process is over. Everything has been decided." No, it is not over. It is never over. IW: When did you realize this? IW: The thing about coincidence? KM: I coincidentally understood (smiles). What can I tell you, do you want to hear a date? IW: No date, but maybe a stage in life. IW: I just saw that life goes that way, and I started to behave accordingly. I'll give you a simple example. For The Asthenic Syndrome we had chosen a young actress for the lead, Natalia Buzko, who until today acts in my films. Then all of a sudden this girl Zachurdaeva shows up, a lunatic. Well, not completely a lunatic, but psychically a little strange. There are children who grew up in children's homes; they have a different relationship with responsibility. She comes up to me and says: "I want to act in your film." I said: "There's no roles left…But ok, come and audition with us." I liked her in many respects. So we split up the main character into two girls who attend the same class. That is a coincidence. Had she not appeared, there would have been only one. After that, we've split characters in half a bunch of times. IW: Could you imagine shooting a documentary film? KM: There are many documentary scenes in The Asthenic Syndrome. They are easily recognizable: The cemetery scene at the beginning, the lunatic in the clinic. He wanted to be in the film, he wanted to tell his story to everyone. We were looking for something like that and he wanted to be heard. So we were lucky and so was he. There is also an episode with a woman, running out of her apartment and complaining about her terrible living conditions. This is completely documentarian. She thought I would show it on TV and her situation would improve. I liked her a lot. "Could you please say all of this once more," I asked her. And because she is really upset, she says everything again with the same kind of passion. IW: And the old woman in the hallway, singing the song about Stalin? KM: Sure, she's one of them, too. You see, you call the extras together, you look at them and if there's someone that seems interesting to you, you ask: "What else do you know how to do? Maybe tell a poem or sing a song? Why don't you sing something!" And right there, something is being created that is not in the script. A documentary shot of a person that says: "I know how to do something." If you're shooting on real locations this always happens. That's why I don't like to shoot historic scripts. When you shoot a film about something contemporary, at any moment, someone can walk through the frame looking exactly like from the time period you are staging and he can participate! And this is good, this is interesting. IW: Then you need to be especially open during the shoot? KM: No more than other directors. Other directors might get nervous when someone disturbs the film set, but in my case, besides making me nervous, this also makes me curious. "Wait, don't chase him away, maybe he will suddenly do…" And there, he already does something interesting, so we let him take part. EG: Like the guy with the burning hat. KM: Exactly. A magician came by our set, but they cut him out later. My last film under the Soviet censorship. KM: Where did we shoot? KM: That's right. A magician came to the film set, an old man. A real magician who suddenly lit his hat on fire. And the hat burns. KM: A real magician. He came because he wanted to show the interesting things he can do. He came with his act. And of course, we invited him right away. EG: First we started to extinguish the flames. KM: First we thought he is some sort of lunatic that wants to burn himself, but he turned out to be a magician. This is what it means to welcome coincidence. A clear example. Such things happen permanently. Because all the time, some funny, original, bizarre people come with their stories. IW: You once said that from all your characters, Nikolai, from the film The Asthenic Syndrome is the closest to you. This surprises me. He is a weak person and you are an active film director. KM: I say that because they are annoying me. "You have many strong female characters," they say. I have no female characters. I only have characters. Some are close to me. But what is that supposed to mean? What does that mean, "weak" and "active"? I don't know what "active" is supposed to mean in my case - if I'm not active I am simply bored with life. KM: I don't want to be bored. And, as Sorokin once said, I don't want to be scared. Do you know the writer Sorokin? He was once asked: "Why do you write?" "Otherwise, I am scared," he answered. That's exactly how it is: otherwise I am scared of life. Period. When you are making films or creating art, it is like a rattle for a child, a red or a pink rattle. Then the baby is feeling fine. That's the explanation for all the activity. Without it, I feel awful. KM: He falls asleep from fear. This also is a kind of escape from reality. You know, some people say art is the truth of life. But what kind of truth of life? Art is a relative truth of life. Because the truth of life is so terrible that it is impossible to capture or recreate, it is impossible, simply completely impossible. Art varnishes things because it gives some harmony to chaos. Chaos is the essence of everything. Maybe it is different to someone who believes in God or in an intelligence that has created everything, to someone who feels a kind of harmony behind the universe. I don't feel this, and I don't believe in it. I can only recognize single details and these create this terrible disgusting chaos to me. And no art can recreate this chaos. Even when you make a film about a concentration camp, you will include an element of harmony in it. Art is a consolation, do you understand? IW: Is your art your answer to chaos? KM: Ok, let's call it answer or mirror image. But even when it is a mirror image, this mirror, this broken mirror has a frame. In the frame there are the shards of the mirror. In the mirror everything is disfigured, but it has a beautiful frame. There are times, when things don't appear so terrible anymore, and then, all of a sudden, boom! I don't believe in progress. I believe that everything is being repeated and that everything stays terrible. I see my art as a way to protect myself from chaos, otherwise chaos will suffocate me. I assign myself interesting tasks, games that protect me from chaos. IW: But don't your films embrace chaos a little as well? KM: You cannot embrace chaos. Chaos - that's the terror of existence. IW: But the coincidences, we were talking about, also come from chaos. A person comes to the film set and does a wonderful thing. Maybe chaos is not only terrible, if sometimes it rewards you with something? KM: This person comes from chaos, too. Concretely, this is not bad and not good either. It's just reality. But it exists in chaos and in this chaos, there are horrors that reign everything, do you understand? Historical and everyday horrors, horrors from the news… Somebody is run over by the tram. Somebody kills somebody. Those are the horrors of chaos. There are beautiful things in it, too, certainly. But those terrible things that are also there crush me in such a way that I don't even want to see anything nice anymore. Many people drink to forget chaos. Renata Litvinova once said, "I don't understand how one cannot drink." If you don't drink, life is horrible. Life is made up of base and acid. The relationship of the atoms and molecules are the basis of everything. Chaos comes from there. Everything comes from there. All contacts and encounters. It cannot be, as it is written in the Bible,"sheep and lions rest harmoniously side by side," and everyone is happy. It will never be that way. No Socialism will get us there, and no Liberalism will either. You can temporarily create that. And then suddenly fascism comes. There was Beethoven and Bach and then, all of a sudden, the concentration camps. Oh my, how is this possible, the Germans, a cultural nation? Because inside, it is all there nevertheless, do you understand? The longer things are going well, the more devastatingly chaos bursts forth. Like a volcano. Sometimes we have the illusion: I am different. Yes, I am different. And then you see that you are not different. Maybe just a little less cruel or just well bred, but at the bottom, I am just like everybody else. I am a part of chaos.